One should thank God for offering a wonderful connection of brother and sister. 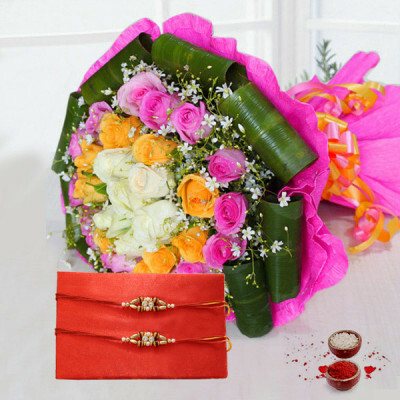 On this Raksha Bandhan, you can formulate your brother feel arrogant by presenting a gorgeous rakhi present. This rakhi gift consists of one kg rasgulla, rachis, beautiful 10 pink carnations, and roli chawal. The brother-sister relationship is all about love, concern, fights and warmth. 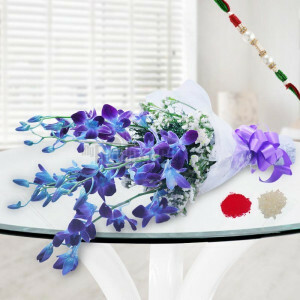 This blessed bond gets strengthened on the favourable occasion of Raksha Bandhan. Thus, to make this festival memorable by this beautiful gift hamper that consists of fruit basket, attractive yellow roses, and rakhi along with roli chawal.